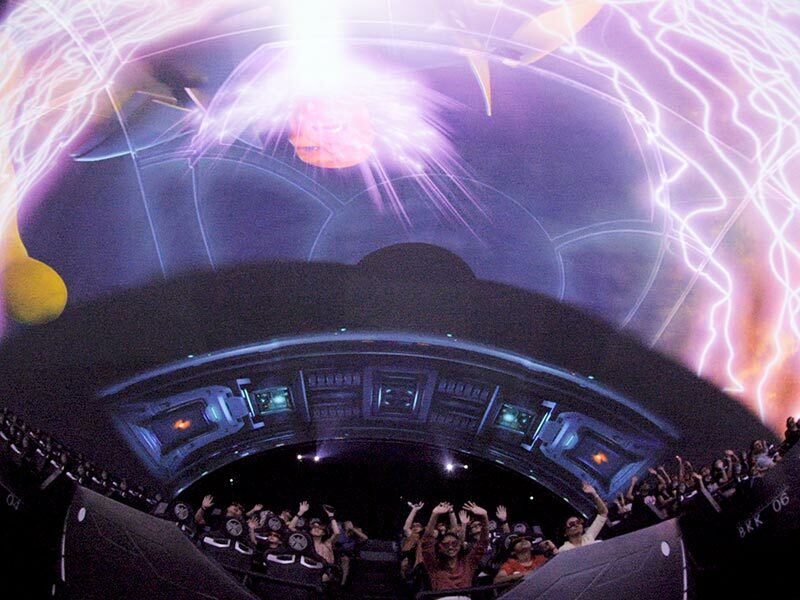 This story began in the fall of 2017 when The Marvel Experience Thailand made its first request for a big immersive projection dome. But our real partnership started a little later with an urgent and unusual project. The company asked us to engineer and sew a custom-shaped screen for their new attraction with the deadline of two months. This wasn’t just a screen – it was something new, both for us & for the whole dome industry in general. Our team likes challenging tasks and, of course, we agreed. 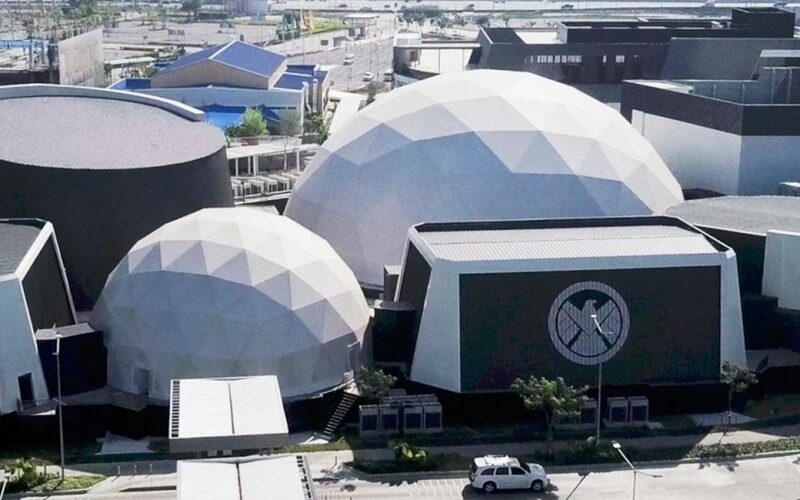 The Marvel Experience Thailand needed us to sew & install needed 21x10M hemispheric screen into an existing building. 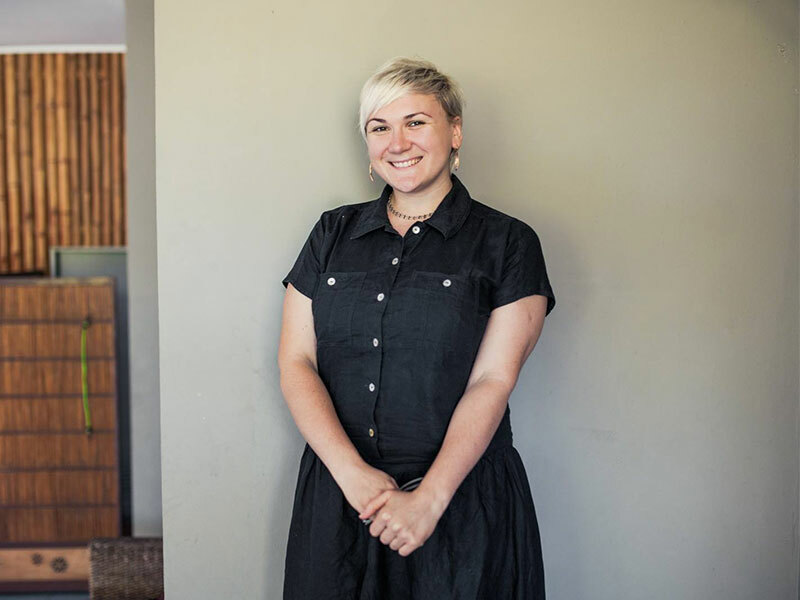 head of a project management department. Next time we’ll tell you a bit more about the technology. The innovation keeps all the advantages of the standard negative-pressure screen and has several more pluses. the same perfect screen as our standard one. After we installed the screen for The Marvel Experience Thailand, the client checked the astonishing quality of our product and made one more request. That time we were asked to sew and install one more frameless standard shape 18M screen for another attraction. Would it be boasting to say that Fulldome.prodid a perfect job? And super-fast? Our manufacturers completed the work in just 3 weeks. What is The Marvel Experience Thailand? “Themed-Entertainment Attraction”, providing a ‘Digital Hyper-Reality’ entertainment experience through state-of-the-art technologies and next-generation interactive elements. This includes a 4-D motion ride, original 3-D animated features, the 360-degree 4-D stereoscopic full-Dome projection theatre, and with the augmented reality, multi-person gaming, you can see and feel yourself in action. “The Marvel Experience Thailand” invites guests on an epic adventure, as Marvel’s iconic Super Heroes battle against the villains, who intend to wreak havoc in South East Asia starting first in Thailand. As a new recruit, guests get to join forces with their favorite Marvel Heroes on the mission to save the planet. Everything will happen with bleeding-edge technology and advanced computer animation. There’s nothing else like it. Find out more info at https://themarvelexperiencethailand.com/.